Here’s a little bit about myself. I’m an Australian born Singapore recording artist living in the U.S.A. I write, record, produce, perform my CDs and shows.. I was in an area of research that melded real-time graphic generation in live performance utilising extended synthesizer techniques, and, I co-ran a midi studio for film & TV projects before I left for Singapore. There, I had the privilege of working in the multimedia industry where I headed the development of a line of award-winning music-edutainment CDs and a java based cyber playhouse for research into interactive online gaming. In 2004, I decided to go out on a limb again by launching show concept Xenovibes (XV) which I took to the USA in 2005. I wanted to address the definition of my ‘sound’. I also simply loved entertaining and working with musicians from all walks of life. XV has performed at various international events and I’ve had the privilege of being the first thereminist at some of these. I’ve also had the honour of working with, and recording some remarkable musicians. Here’s a list on about Xenovibes. Since my arrival in America in 2005, I have worked with John A Martinez of Fingerfoot Music Productions. John who participated in the premier of Xenovibes the Show in Singapore, is XV’s U.S.A core member. 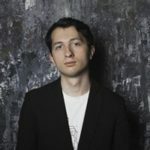 In 2009 I became the U.S. writer to South East Asian news-blog SonicFreakz which reports on all things associated with music. After traveling extensively, I decided to move to Nashville in 2010 to take in new sights and sound, to retreat to record new music (see Discography below), and as a base where I will continue to do more performing on the formal stage and in house-concert situations! My escapades are documented on my youtube channel : OceanaChine. I belong to the Composers & Authors Society of Singapore (affiliated to CISAC), ASCAP (ElectricMuse USA is a publishing member) and UNESCO DigiArts. I am in the USA as an Artist of Extraordinary Ability (awarded by the American Federation of Musicians) and I am also a MoogMusic endorsed artist. During the ‘90s I was always playing with new musical toys. 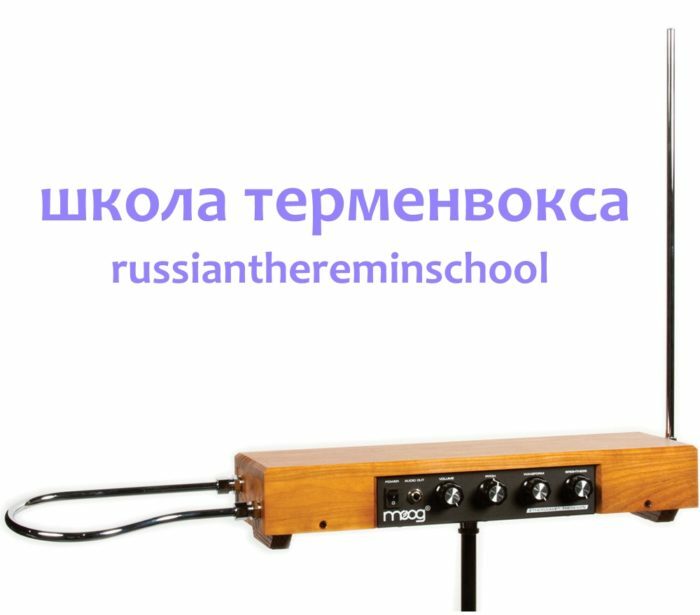 I picked the theremin to represent the history of electronic musical instruments; I selected four instruments to study and feature in my composition, production and performance work, that represented the different facets of my musical and cultural heritage. They are; synth techniques, tin whistle, theremin, guqin. I also picked the theremin because it had for me and still has a mystic about it; both in its voice which I try to shape to make my own, and in its appreciation from the performer and audience. Since my background was in music technology, I am always open to ‘nice’ sounds and sound making devices that allow new expressions. The theremin was beautiful and had a sound like no other. 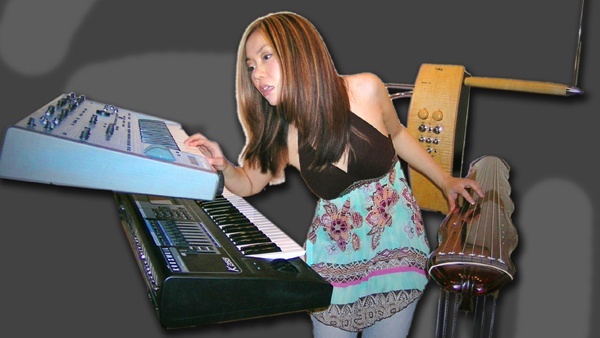 I am trained as a synthesizer performer and I found a new voice in the theremin on the performance side. Be open to new experiences but be attentive to the listener’s sensitivity. Music is to be shared. Old and new technology and music from all cultures can co-exist. I take my philosophy seriously in my work as described in questions 2. and 3. I believe that the theremin has plenty of prospects. In the hands of the right composer and performer, it can be as modern as what people desire it to be. The theremin though really needs the performer to dictate how it is used in composition as only the performer can understand how to play the instrument, which would include experimentation with the composer. I feel grateful that my training has allowed me to utilise my performance and composition sides along with technology to execute my ideas. I am using the Moog Etherwave and the EPro. There are many designers out there, I think the manufacturer is an individual preference.